Sliding windows were introduced with ranch style homes in the early 1950s and are very popular in West Michigan homes. They look great in contemporary homes, but can give any home a new modern appeal. They are easy to operate and easy to clean! This style replacement window is an ideal choice for a bedroom or kitchen space where plenty of light and airflow is a priority. 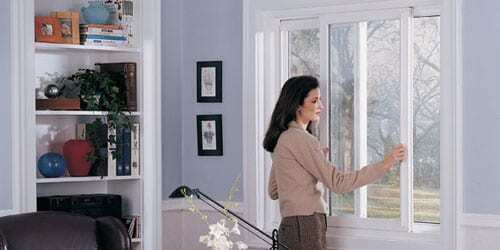 Our design and sales professionals can help you select the right replacement sliding window and features to meet all your home improvement needs and budget!